Kingston Blount is a local climb for me. 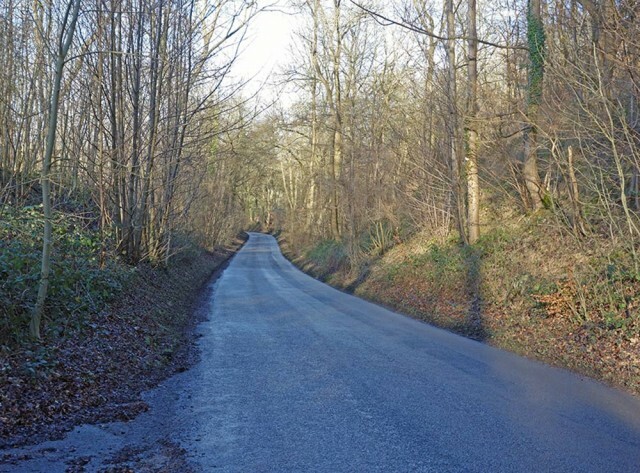 It is just 16 miles from Oxford and often makes part of a training route. More often than not, I climb the parallel A40 climb to the West. The A40 climb towards Stokenchurch makes a good steady climb of 5% – useful for controlled intervals. 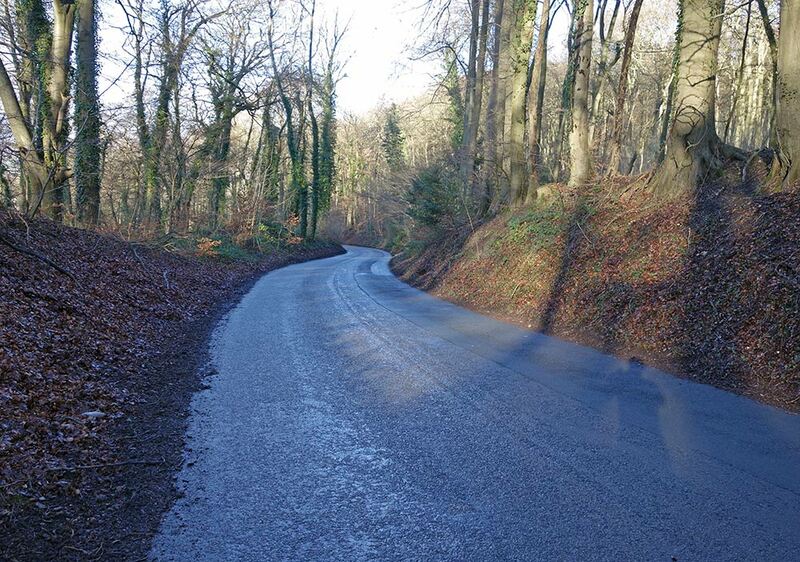 Kingston Blount is more of a classic hill climb course – around one mile, getting steeper towards the top. It is 18% at the steepest, so will have you in its smallest gear. It is hard work, though not insurmountable. I’ve done it a few times at the end of a long interval session, then the legs really start to feel tired. To the left of this road – Point to Point horse races are run. On the lower slopes of the climb, you also cross the old track bed of a single railway line Watlington to Princes Risborough; this is now a footpath. As you leave Aston Rowant, the road goes up very gradually (1%), so there are different options of where to start the climb, but after the road bends to the right, the climb proper starts. For the last 0.7 miles, it averages a good 9%. The road starts to go up. January sun creeping through the trees. 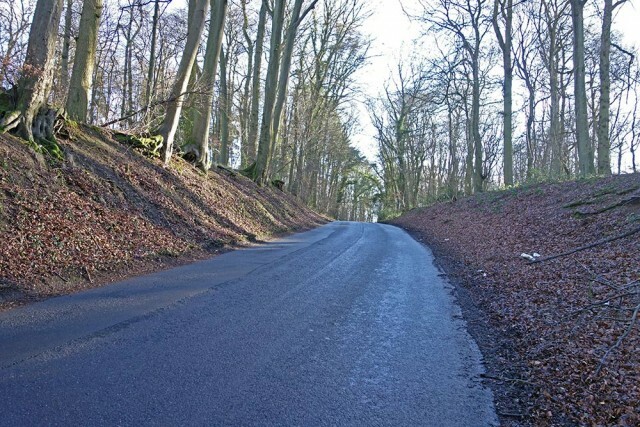 The steepest part of the climb – around 18%. here. When you reach the horizon most of the climbing is done, though the road continues to gradually rise around a right hand corner until you meet up with the A40. Looking back down the climb. 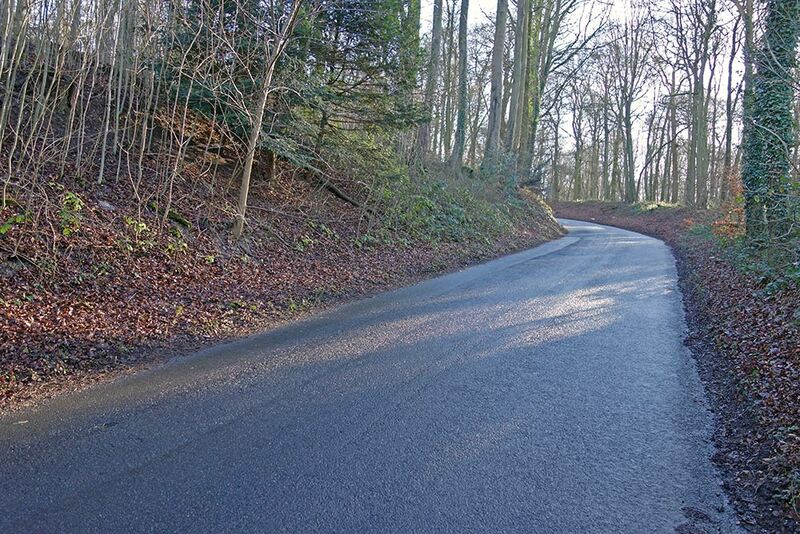 There are many good climbs in the area. 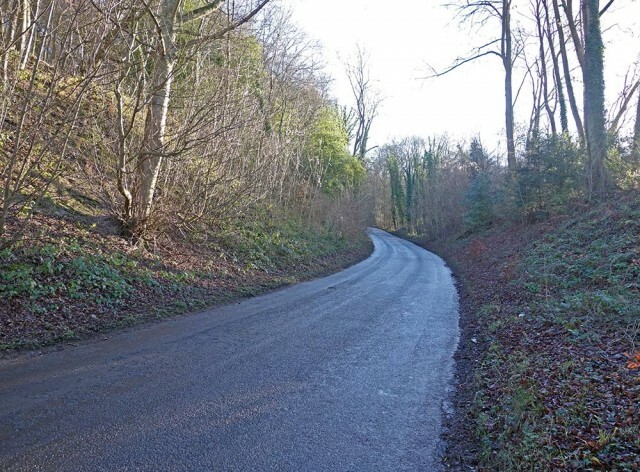 You can go up and down the Chiltern ridge all day long. I often do several climbs including Kingston Blount, e.g. Blog post – training load. 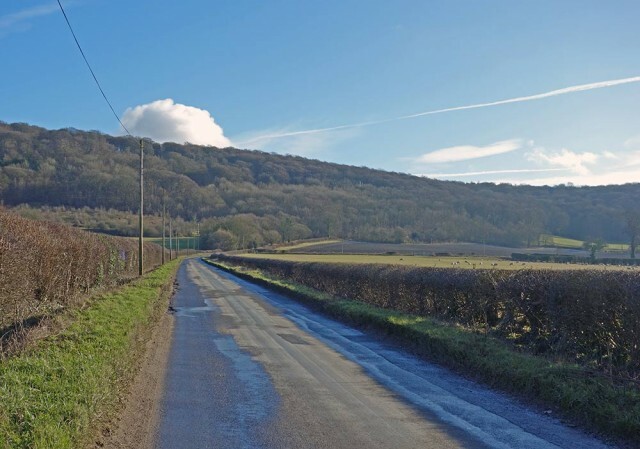 Chinnor hill – 3 miles to the East.